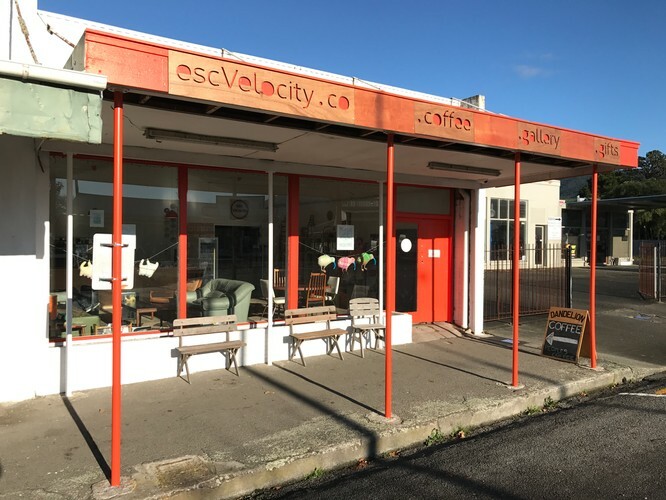 escVelocity, is about helping people reach escape velocity to launch their ideas, acting as a hub for artists, creators, makers, producers and whatever label fits, with spaces from the cafe lounge to gallery and shop, a cinema and more to come soon, to build this vision. We've recently launched the gallery with the earlier work of Emma McCleary, known for her prints, organising Te Papa's first online exhibition, and her successful Emma Makes brand of products, and currently are exhibiting Campbell Kneale's 'What I do is Secret', and have exhibitions coming up from more locals, Niko Thomsen, Gino Acevido an HoD from Weta, and international artists. We're evolving as a space, which gives artists to visitors the opportunity to engage with the gallery in ways perhaps less restrained than others, while bringing something new to see and do, and people to meet, with every visit and experience.